By the holiday season is supposed to be a time for you to relax and appreciate the company of family, friends, and loved ones, the seemingly endless tasks and chores that accompany this season can make it easily more stressful than any other time of the year. Ultimately, this heightened level of seasonal activity can break the Christmas spirit and begin to overshadow what should be one of the greatest times of the year. 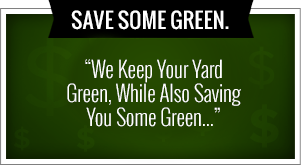 But there is something you can do to help simplify your holidays and the experts at Green Leaf Lawn can help you. It all begins with a phone call to learn more about our residential Tulsa Christmas Lights installation services at 918-640-6405. Hiring a professional to take care of your home’s exterior decorative lighting is more affordable than you might think and it will give you more time to enjoy the holidays. Not only will you save yourself from extensive labor requirements and on avoidable frustration that comes with putting up Tulsa Christmas Lights yourself, you no longer have to worry about lengthy periods of time spent heating around on dangerous ladders out there in the cold. Visit our website today for more information about our Christmas lights services and all of the year round lawn maintenance we do at www.greenleafweedcontrol.com. When it comes to spring and summer months call the Turf Enhancement Engineers at Greenlee for all of your lawn and landscape needs. We only believe in giving the best quality service and this is why we provide every customer with fully certified spray technicians right here in Tulsa. Our employees are certified by the Oklahoma Department of Agriculture and are equipped with the proper licenses to bring you the best Tulsa lawns and Tulsa we control. All of our customers can have the confidence knowing that Green Leaf Lawn is the right choice for their lawn care service in Tulsa we control provider. We have over 10 years of experience providing professional lawn care services throughout the Tulsa area. We are experts at mowing, holiday lighting, landscaping, weed killing, and much much more. There is no other lawn care service that can bring you the rich, beautiful lawn you’ve always wanted and desired for your front and backyard. Let us transform your home into a paradise that will be the envy of the entire neighborhood and beyond. For free estimates and references these things can be provided upon request. Seasonal services from Green Leaf Lawn also provide snow removal services, leaf cleanups from lawn and landscape beds, gutter cleaning, seasonal flowers and mulch, trimming perennial plants, and rating and over seeding, and of course Tulsa Christmas Lights installation. We look forward to meeting with all of our customers and providing them expert service on a daily basis. It’s time to give Jamie and Josh a call and see just how devoted they are to their craft in providing service to the people of Tulsa. Your safety and your sanity is insured to be intact when ever you put the responsibility into the hands of a trained expert when it comes to Tulsa Christmas Lights. I Green Leaf Lawn, your complete satisfaction is our goal and we strive to exceed your expectations with every job that we do. We will examine your property to see how to best accentuate the beauty of your home and landscape and it will design a unique decorative display tailored to your specific needs, or if you prefer a more hands-on approach, we will gladly work with you so that you can turn your personal vision into a reality. Our professionally trained installers of Tulsa Christmas Lights are fully equipped to tackle any lighting project that you can imagine, and are proactive maintenance ensures a perfect display throughout the entire holiday season. The pride we take in our holiday lighting is evident in our commitment to paying attention to each and every detail throughout the process. For more information about our residential Tulsa Christmas Lights, or our commercial holiday lighting services, talk with the Green Leaf Lawn experts now at 918-640-6405. 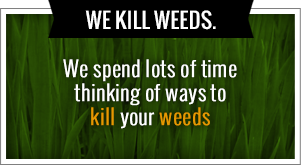 We would also love to see you on our website at www.greenleafweedcontrol.com, where you can gain more information about our company and all of the extensive services we offer to the people of Tulsa year-round. Green Leaf Lawn was founded by Jamie Nix and Josh Mathias, and they are passionate about providing expert service to the people of Tulsa while remaining dedicated to supporting the local community. We have set up something called the “Cutting for the Kids” program that works by donating a portion of all the revenue made from any new services that we render to the classrooms of local Tulsa schools. Every time someone uses our services we allow that customer to name the school district in which they want to make a donation and we will help support the children in our community. We offer a wide range of different services year-round to the people of Tulsa. When it comes to taking care of your lawn we do we control and fertilization, flower bed maintenance, weekly lawn maintenance, hedge trimming and reshaping, we for removal, small tree removal and planting, sod installation, small shrub removal and planting, spring cleanups and scalping, and fertilizing that starts with rates of just $35 per service. Set up a free estimate today and allow our experts to come out and assess your lawn and landscape. We will prescribe a perfect solution and executed throughout the year to make sure that your home is beautiful and becomes the top of your entire neighborhood. Don’t hesitate and pick up the phone today. Our numbers 918-640-6405 and we want to be your Green Leaf Lawn experts of choice for all outdoor decorative and lawn and landscape needs.